Get Moisture that Lasts with OLAY! We often neglect our skin especially when we are always on the go or have a million things to do. I admit, I too am guilty of this sometimes. But as much as possible, I make sure I apply lotion before I leave the house because I have atopic dermatitis and my skin dries 3x faster than normal people. I get super conscious whenever I forget to moisturize because my skin ends up flaky & dry you could even use it to write notes using your nails! Haha. I am so glad I finally found my skin’s perfect match! I don’t think I would ever stop using lotion, but at least I won’t die of worry anymore whenever I forget. Guys, I want you to meet my new skin partner—OLAY Body Wash Moisture Outlast! I am currently using Olay Deep Moisture with Honey and I love it! My skin is so sensitive that I can’t use scented anything (soaps, perfumes, etc.) because I end up itching and I develop rashes. This particular variant is scented but it’s so gentle and it actually moisturizes my skin without me developing allergies! It provides extra, long-lasting moisture (I still use lotion though) and it leaves my skin feeling smoother and more radiant. One bottle could last for months because just a small amount is enough to wash your whole body. Perfect for people on a budget. I have yet to try the other variants but love the Strawberry one (smells sooo good) and the Chamomile is so relaxing. Best thing about it? It not only protects your skin from the summer heat but also from dryness that air-conditioning brings! This amazing product was launched a few weeks ago in Robinsons Place Ermita and the event was graced by Olay’s newest endorser, the beautiful Bea Alonzo. Here are photos from the launch! Switching a local soap bar for Olay! With OLAY's beautiful ambassador, the new Olay girl, Bea Alonzo! So fun catching up with my favorite girls Martha, Nikki, Domz and Shen! 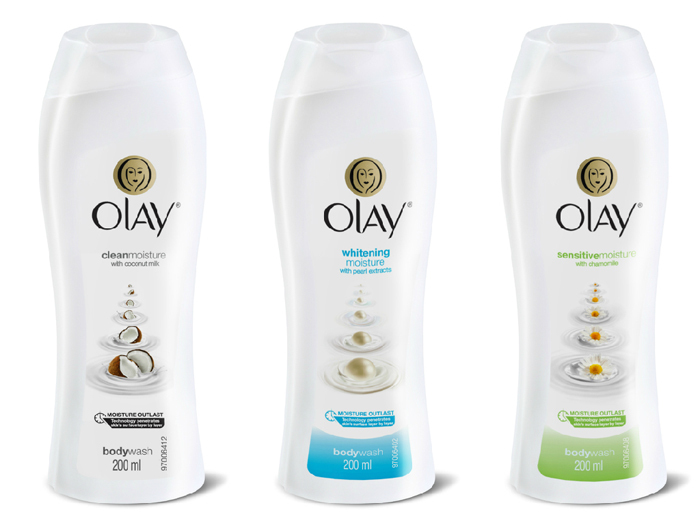 One of you could win a one (1) year supply of the new Olay Sensitive Moisture Body Wash 200mL! SHARE: Share your 24 hour moisture experience with new Olay Body Wash on INSTAGRAM. Don't forget to use the hashtag #MoistureThatLasts and tag @olayphilippines. So let us all unite and fight dryness by using Olay Moisture! Time to throw away those beauty bars that overpromise but fail to deliver the moisture you need & deserve. 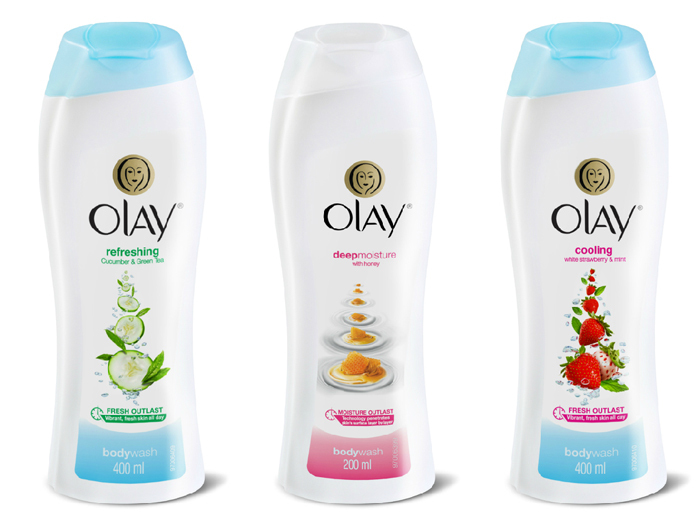 Together, let’s experience #MoistureThatLasts with Olay Body Wash Moisture Outlast Collection!